Better late than never. The past week or so has been increasingly busy, but this is never a bad thing for a writer. Busy = good. It’s been a very busy month for poetry. I was especially pleased to participate in a few “hometown” events in London, Ontario. This past Monday, I launched stains: early poems in London with three other poets who were also releasing new material. Thank you to Andreas Gripp for the invitation to participate; I truly enjoyed your reading. Also there was Penn Kemp (renowned sound poet and writer-in-residence at The University of Western Ontario), and the charming John B. Lee. There was a full house on the Mykonos patio and it was nice to see some familiar faces from my formerly local neighborhood. Also in London this week was the launch of a new reading series for the Writing Department at The University of Western Ontario. Thank you to Claudia Manley for organizing such a fantastic event and for the opportunity to read. While I shared some of my work from stains, I also read a few pieces from a new collection I’m working on, in addition to a brand new poem written over the weekend. I think there were about 40 students and faculty members in attendance, so that’s a great start for this new series. In addition to poetry, I’ll be presenting a lecture this weekend at the Midwest Pop Culture Association conference. Hosted at the Book Cadillac in downtown Detroit, I’ll be presenting “Criminal Intent: Fiction that Kills.” During part of my presentation, I’ll be sharing a reading of some of my crime fiction and talking about the genres of suspense, mystery, and all things creepy. Next week, for those in the bottom of the mitten of Michigan, I’ll be a featured reader at the Marick Press Poets Follies event. I’ll share more info next week, but if you can make it to Grosse Pointe on Thursday, November 5, I’ll be reading selections from stains and a selection of new works. I’m pleased to say I have a few authors lined up for the Wednesday Q&A series, too, so hopefully this brings us back on track with a more regular schedule. Thanks for your continued interest and for stopping by the blog today. I must apologize to my blog readers as I’m buried in a huge stack of to-dos right now and a bit behind on my blog posts this week. Please come back on Friday, when I’ll be returning to my regularly scheduled charm and wit. I promise! I’m a big fan of online communities. Yes, of course, there is facebook and twitter, but the ones I love the most are truly community based and offer writers real opportunities to connect with one another. The ning network seems to be host to many of these, such as shewrites, poemata, and the freelance writers network. And now there’s something new. Earlier this week, the folks at Writer’s Digest magazine sent out announcements for the new Writer’s Digest Community, hosted on the ning network. At the time of this writing, there are just under 700 members but we can expect that to grow rapidly. Why? Because writers need community. We like to network. We like to befriend similar minded people. And… because it just makes sense. We need to market and promote our work and that means using every reasonable available opportunity to do so. My profile is located here, so please do drop by. If you write, please also consider signing on for your own profile. This is especially true if you don’t yet have your own website. Your profile page will allow you to post a brief bio, links to your other sites, and you can even do an RSS feed of your blog if you have one. Most importantly, you can join a group and meet other writers, thereby expanding your community base. We’re writers. We need to support one another. As I am new to the Writer’s Digest Community, I am still adding content to my profile page and getting to know others in the network. But if it’s anything like the other communities I belong to, it’s worth the half hour it will take to add more info and start connecting. I can’t tell you how many opportunities I have stumbled into by playing an active role in these online groups. You’ll mix and mingle with other writers, yes, but you will also come into contact with agents and editors, festival organizers, book reviewers and everyone else who plays a role in publishing. If you can make it to an online community even once a week, you can vastly increase your network and tap into new opportunities. If you join on to Writer’s Digest Community, let me know how it goes. Also, be sure to ‘friend’ me so I can keep up with your news and events. Thanks for stopping in today! I wish you all a great weekend and will see you on Monday. Have a great weekend. Later this week I’ll be sharing a full interview with Rachel Kann at www.poetsquarterly.com, as part of the “higher learning” interview series. However, I wanted to share a brief excerpt from our interview to continue Monday’s blog discussion of writing workshops. Rachel is an instructor with the UCLA Extension Writers’ Program, which you can learn more about here. She is also an award winning poet and the author of 10 for Everything, a collection of short stories. You've experienced the writing workshop both as a student and as an instructor. How would you prepare a young writer who is considering participation in a workshop for the first time? I would tell them to come with an open mind and an exceedingly positive attitude; that their ego will not be of much use to them in this environment. I'd advise them to be open to trying new things, but to stay true to their distinct voice. I'd urge them to be exceedingly grateful for the opportunity to mix it up with other writers in the workshop environment, and to focus on what is working in their fellow writers' pieces. As someone who has a lengthy history of teaching, what is your response to the question, "Can writing be taught?" Absolutely, yes. But more importantly, can writing be learned? Again, the answer is yes. It's up to each individual to decide how dedicated they want to be to any pursuit. Basically, I have a lot of faith in the human ability to achieve. I mean, people can survive concentration camps. Heather Mills, with a prosthetic leg (love her or hate her,) can ballroom dance and do flips on TV. I believe in any person's capability to reach whatever artistic goals they have, regardless of how long the journey may be. And it's a never-ending journey. For everyone. How hard is the person willing to work? What other options might an emerging writer explore, if not a formal workshop? The best part about workshopping is the opportunity to interact with other writers. So I'd encourage a writer to explore creating a writers' group with some fellow poets and/or prose writers, and meet regularly. The gift of a workshop (or a writers' group) is accountability. Check Poets’ Quarterly at the end of the week to read the full interview with Rachel Kann. If you’re interested in taking a class with Rachel, her next open session is an online poetry workshop with UCLA Extension Writers’ Program. The class is "Writing The Poetry of Luminous Things" and it starts January 20th. More information is available here. Thanks for stopping in for the Wednesday author Q&A. I’ll see you Friday with more musings, reviews, and news. This coming January, I’ll be presenting two sessions at the Northwest Institute of Literary Arts MFA spring residency. NILA, widely known as the Whidbey Writers Workshop MFA, is a low-residency program where students come together for an intense residency twice a year and then spend the remainder of the year working on their MFA from home. During each spring and fall residency, students are presented with craft workshops, faculty meetings, readings, and guest lectures. That’s where I come in; I am so pleased to be presenting two sessions at the next spring residency. The residency schedule is now online, so if you have ever wondered what happens during a brief-residency MFA program, be sure to check out this link for the upcoming schedule. You’ll notice the variety of guest faculty presentations, the dedicated workshops and sessions on craft, and the abundance of reading sessions. If you’ve been curious to learn more about low-residency creative writing MFAs, I encourage you to check out a lengthy paper I wrote last year that’s available on my website here. In this paper, I interview a handful of low-res advocates including Spalding University faculty member – and award-winning poet – Molly Peacock. She suggests this, as there is such an array of faculty within each program, specific to each program’s offerings and craft specialties. When it comes down to the low-res format, you’ll want to find a group of mentors who best reflect your own style and writing goals. It takes research, but it’s easy to do. With 43 low-res programs in the US alone, there are many programs to choose from and thus an incredible variety of writing faculty. There really is something for everyone. In January, I’ll be presenting on two topics: 1) Literary Living, which is a session about building a successful writing career; and 2) Beyond Page One, a session about creating opportunities to help yourself stand out in the competitive field of writing. I’ll be sure to share my experiences from the NILA spring residency when I return. Looking at the schedule, I can see there will be a lot of details to report at this jam-packed event. If you’re interested in learning more about the Northwest Institute of Literary Arts low-residency creative writing MFA, please do visit their website here. It’s truly a unique program and one that is continuing to grow. Thanks for dropping by today. Ill see you on Wednesday for the weekly author Q&A! Don’t you just love fall? For writers, there seems to be so much activity in the cozy months between flip-flops and twinkle lights. Maybe it’s that ‘back-to-school’ tradition of sharpened pencils and an eagerness to be productive. Or maybe it’s just a universal time for getting down to business. Whatever the reason, I am pleased to share a few activities of interest that just might make it to your to-do list. First up, Marick Press has a wonderful Poetry Reading on Tues Oct 20 featuring Dawn Paul and Matthew Olzmann. This is a free event and there’s also an Open Mic for brave voices. Matthew Olzmann is a graduate of The MFA Program for Writers at Warren Wilson. He has received a poetry fellowship from Kundiman, a work-study scholarship from the Bread Loaf Writer's Conference, and the Oboh Prize from Boxcar Poetry Review. His poems have appeared or are forthcoming in American Poetry Journal, Atlanta Review, Margie, Salt Hill, Cranky, H_NGM_N, Minnesota Review and elsewhere. Currently, he teaches composition at Oakland Community College and is the poetry editor for The Collagist. 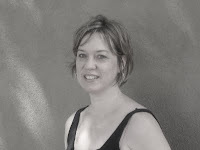 Dawn Paul’s short fiction has appeared in Junctures (New Zealand), The Sun Magazine, 14 Hills and The Redwood Coast Review, and online at Blithe House Quarterly, Hiss Quarterly and Storyglossia. She has created collaborative works with actors, dancers and visual artists. She was a writing resident at the Ragdale Foundation, Vermont Studio Center and the Spring Creek Project and is a graduate of the creative writing MFA program at Goddard College. She is the editor of Corvid Press, a small, independent press. She lives in Massachusetts. She will be reading from her novel The Country of Loneliness published by Marick Press. 6:30 to 9:00 p.m. on Tuesday, October 20, 2009. Renaissance City, an online journal backed by poet and novelist John Jeffire, is now online and accepting submissions. 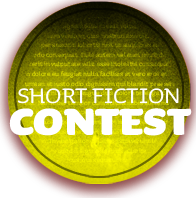 There is also a short fiction contest for works up to 4,000 words with a January 1 deadline. The nice part? Low contest entry fees! It’s a mere $10 for one submission, or $12 to submit two stories. Not bad. Be sure to check out the contents of the first issue and consider submitting your own creative works. Are you a full-time college student? Then you should consider entering the 2010 Sylvia K. Burack Scholarship competition, sponsored by The Writer. It has a deadline of March 1 2010 and you must be 18 or older and a full-time undergraduate student at a university or college in the U.S. or Canada at the time of entry. The award is made in memory of Sylvia K. Burack, longtime editor-in-chief and publisher of The Writer. Burack was known for her dedication to helping writers and editors. Get more info here. Finally, I’ve updated my own event listings on my website and added a few new readings and workshops to the mix. If you plan on attending any of my events, let me know so I know to keep my eye out for you! It’s time to get back to writing. Have a great weekend and see you on Monday! Jane Satterfield is the author of Daughters of Empire: A Memoir of a Year in Britain and Beyond (Demeter Press, 2009) and two books of poetry: Assignation at Vanishing Point (Elixir, 2003) and Shepherdess with an Automatic (WWPH, 2000). I recently interviewed Jane for the launch issue of Poets’ Quarterly and thought it’d be great to share an excerpt of that Q&A here. Why a memoir? Why Daughters of Empire? I'm probably what you'd call an "accidental" memoirist. Although I've always loved reading memoir and have been drawn magnetically to any work of nonfiction by poets, I didn't initially "set out" to write one. I started writing essays in response to questions other women writers asked about my experience of pregnancy and birth in the UK and because Jamaica Kincaid's essay "On Seeing England for the First Time" struck me so forcefully: like it or not, I was a "daughter of empire" and I'd given birth to one. I also found prose to be a welcome break from the lyric intensity and narrative compression of poetry. To my delight, people enjoyed reading them and wanted to publish them. So the book grew organically out of conversations I had, out of interests and subjects I wanted to think through. The essays, of course, differed in length and form, but were linked by a unifying ambition to make sense of the cultural forces that shape women’s identities and lives. I've looked to find intersections between my own family history and that of the larger culture and to tell the truth of my experience. Along the way, I lingered a bit in guilty pleasures, hoping to offer readers a lighter glimpse of mid-'90's Britain with an eye toward its music (the skiffle rock of my mother’s youth, Oasis vs. Blur! ), popular culture (football, stone circles! ), along with literary detours on the Brontes, Sylvia Plath, as well as the late Angela Carter (for whom I served as babysitter in my Iowa grad school days). The current popularity of memoir, I feel, is less about a writer's desire to "tell all" or the reader's desire to "know all" than it is about discovery and engagement: tracking the journey toward a changed consciousness. You explore the concept of 'home' within Daughters of Empire. How significant is a sense of place for one's identity? For the identity of a poet? Place is crucial--there's the visible reality a writer seeks to honor and the less visible histories that inform and shape both place and inhabitants. Place is the source of our remembering, the site of our witness. As a person with "transatlantic" roots, I've often felt pulled between multiple places and definitions of home. It's easy to think that this is simply a "new world" condition, but it isn't. At the end of the book's title essay, I reflect on a colleague's well-meaning statement: if you've lived in America your whole life, isn't the "exile" metaphor contrived, little more than a "romanticized longing" that should be put aside? Marina Tsvetaeva wrote that "One's homeland is not a geographical convention, but an insistence of memory and blood." In some ways, the book's a meditation on that observation. How would you describe your involvement in the literary community as a whole? What activities do you participate in and how would you recommend emerging writers find a sense of place within the writing community? Aside from teaching and mentoring students, I've enjoyed working as a reviewer for Antioch Review for many years--a great way to think through my own ideas about craft and bring attention to the work of other poets. It's something I think that's well worth doing to help create and extend the literary community. Recently, I've taken over Rishma Dunlop's slot as literary editor for Journal for the Association for Research on Mothering. I'm enjoying the chance to discover vibrant work about all aspects of mothering. I think literary conferences are wonderful to help build community. I had terrific experiences as a scholar at Bread Loaf and as a fellow at the Sewanee Writers' Conference--the conversations, workshops, and friendships that took place were absolutely integral to my growth as a writer. Since I've started practicing hot vinyasa, I've been enjoying Elizabeth Kadetsky's First There is a Mountain: A Yoga Romance. Also, Kate Moses' Wintering, Michael Ondaatje's In the Skin of a Lion, Christopher Ricks' Dylan's Visions of Sin, Paul Muldoon's The End of the Poem, and a terrific gift from my husband, Peter Terzian's Heavy Rotation: Twenty Writers on the Albums that Changed Their Lives. For the full interview with Jane Satterfield, visit http://www.poetsquarterly.com/. This post comes late in the day, but what a day it’s been. Today is the launch of Poets’ Quarterly, an online journal featuring reviews of new poetry books and interviews with poets. Issue I, Volume I is now live and online so I do hope you will find your way over to http://www.poetsquarterly.com/ to have a look at all the wonderful content provided by the contributors. There are 24 reviews and interviews, showcasing the poetic works of Diana M. Raab, Kara Candito, Ken Meisel, Derick Burleson, and many more. For those of you interested in submitting reviews or conducting interviews, please do have a look at the Submission Guidelines. Poets’ Quarterly publishes – you guessed it – quarterly and the next deadline is in December, in preparation for the January issue. If you are an author or publisher seeking reviews, check the website for details. Reviewers are notified of assignment availabilities. I’m really pleased with the launch issue and hope you enjoy it, share the link and visit the website for each new issue. If you have any questions, let me know at info@poetsquarterly.com if your questions are not answered at http://www.poetsquarterly.com/. Thanks to all the contributors for putting together a great first issue! On Monday, October 26, I’ll be participating in a poetry book launch and reading event in London ON. Hosted at Mykonos and featuring Andreas Gripp, Penn Kemp, and John B. Lee, I’ll be sharing some selections from stains: early poems and possibly a new piece or two. More information will soon be posted on my website, but feel free to email me if you require directions or other details. On Friday, November 20, I’m the feature author at the Poetic Travelers series at Lawrence Street Gallery in Ferndale MI. There’s an open mic at this event for those that are interested. More info about this event will be posted on my website after the weekend. Of course I’ll be reading poetry selections, but I just might share a small piece of non-fiction. Which brings me to my thought for the day: writing outside our dominant genre. While I do write a good deal of freelance articles, my creative writing focus is generally poetry and fiction. However, as part of a workshop I’m in right now I have been experimenting with creative non-fiction and I have to admit… I love it. What’s interesting to me is that I haven’t spent much time writing creative non-fiction. After all, I love the art of the essay. I love first person narrative. Nothing draws me in to a book like a personalized experience. Considering these points, I am perplexed at my own level of ignoring the genre as an option for me. It’s just not something I fully considered. Until recently. In the past few months, I have found myself truly enjoying this genre as an outlet for expression. I am fascinated with the craft and techniques I am exploring. The attention to language usage and sentence formation is drawing me in. Yes, these are all aspects that are explored in writing poetry and fiction. There’s just something different about the craft of non-fiction, in a creative capacity. Perhaps that has something to do with the level of personal involvement. In my fiction, I – the writer - don’t exist. In poetry, while it is easy to assume the narrator is the writer, that is not always the case and usually is not with my own recent poetry. But with creative non-fiction? I play a role. An active role. I am the narrator, the voice, the reason the piece exists. I become a character in my own story. And I’m finding it… liberating. As a writer, I think there is so much value in trying new forms and techniques. There is something to be said for writing outside the box. As writers, it pushes us. Removes boundaries. Challenges our routine. And even when it’s not something that we commit to full-time, it’s a lesson in writing and in understanding ourselves better, as writers. If you write, what do you usually write? Do you ever write outside your genre? What is that experience like for you? What have you learned? comment moderation: is there an option? While it hasn’t been a big problem, within the last week I have noticed there seems to be a new spam artist on the prowl. Spam doesn’t necessarily mean scam, but I suspect that when you scroll through the reader comments you hope to be entertained by reader comments – not comments about business opportunities or amazing news venues that are clearly spam. I apologize for this. When I started this blog, I wanted to leave the comment section free of moderation, open to anyone and everyone. The purpose in that was to allow readers to share comments whether or not they have a blogger account or an OpenID. Not all of us do and I didn’t want to exclude someone who genuinely had something to comment or contribute to the conversation. However, with such an open door it is inevitable, sadly, that spammers show up. It wasn’t common, it’s not yet a problem, but I really don’t want to wait until it is a problem. In time, we may see more and more generic, redirecting comments and I don’t want you true blog readers to have to sift through spam in yet another area of your online reading. There’s enough junk on the ‘net. We don’t need it here. Thus, I have elected to moderate comments. All that means is that when you post a comment, it won’t be shared immediately. I’ll have to approve the comment before it is shown live in the comment section. Please know that this is not meant to be a censor of reader comments; I’m just not sure of the options in keeping spammers out with another method. Is there a way to delete comments once posted? Do you know how to block spam without moderating comments? If you have a suggestion, let me know. I’d love to hear about an alternative. For the time being, though, please feel free to keep the comments coming. I apologize for the inconvenience of this, but I’ll do my best to click you through as quickly as possible when I see there is an incoming comment. I genuinely do appreciate it when you have something to say! Thank you for your understanding and patience with this action. I welcome all reader comments on the blog and, as many of you know, I also welcome those emails. So, keep the feedback coming and if an alternate option for moderation comes to mind, be sure to let me know. Thanks, again. I’ll see you with tomorrow’s regularly scheduled post! 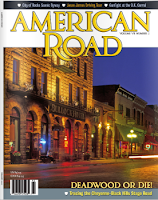 I recently had the opportunity to interview author Cindy Gerard for The Big Thrill, a monthly zine published by International Thriller Writers. Below is an excerpt of my Q&A. Cindy Gerard is a multiple New York Times and USA Today best-selling author of action/adventure romantic suspense novels. Along with numerous industry award nominations, Cindy is the recipient of The National Reader's Choice Award and Romance Writers of America's coveted Rita Award. Cindy lives in the Midwest with her husband, Tom, a very spoiled dog, two equally spoiled cats and several fat and happy quarter horses. Cindy was happy to talk about Feel The Heat, her latest book in an ongoing series. Tell us about Feel The Heat. What was your inspiration behind The Men of Black Ops, Inc? I have such admiration and gratitude for our military warriors and their families for all they sacrifice and put on the line for us every day. I wanted to write something to honor those heroics and explore the bonds these men and women make during their service as well as write compelling, action packed reads. But I was also curious about what happened to our Special Operations warrior when they parted ways with the military. My research revealed that many of them chose law enforcement post military and many more continue to use their special skills as private contractors and fight the war on terror as civilians. Black Ops. Inc. was born from that. The BOIs are not mercenaries. They don’t hire out to the highest bidder. Instead, they fight on for everything that originally called them to service. What was the most challenging aspect of writing this novel, the fourth in the series? It’s always a challenge to come up with a new, fresh and gripping story line as well as integrate a compelling romantic relationship between the main protagonists. FEEL THE HEAT has such a complex and action orientated story line that it proved difficult to interject the emotional conflict readers expect in my books. Having said that, however, I’m very pleased with the end result. Both B.J. Chase and Rafe Mendoza were amazing characters to write – I found them to be one of my most intriguing couples yet. What are your future plans for the series? I just finished book 5 in the series, RISK NO SECRETS featuring Wyatt – Papa Bear – Savage, yet another action packed, edge of your seat thriller set in Sal Salvador, El Salvador. SECRETS will be released in June 2010. After that – who knows what BOI will show up in the next adventure? How do you keep writing fresh, fun, and interesting for your own needs? You have an incredible trailer on your website, www.cindygerard.com. How did you make it happen? I knew I wanted something short, powerful and impactful for the video to showcase SHOW NO MERCY, the kick off book for the Black Ops Inc series. So I toyed with the basic bullet points, then pared them down to a very few, laid them out in the rhythm I wanted and with the help of my webperson, fine-tuned it into what you see now. And I’m glad you like it! It turned out to be everything I had hoped for. Tell us about your contributions to the blog, Riding With The Top Down. I’m so honored to have been invited to ‘ride in the convertible’ with the rest of the talented authors on the Topdown blog. We try to keep things interesting over there and mix it up by tackling any and all subjects (except politics and religion :o). I’ve written about everything from ‘hair’ issues to weight to movie and tv show reviews to motivation to feng shui. We laugh a lot but we’re also serious at times and offer thought provoking pieces. Mostly, though, we just have fun – and since there are 10 contributors and we’re pretty prolific, we give away a LOT of books! Be sure to visit Cindy’s website for the latest news, info, and release updates. And be sure to read more of The Big Thrill for additional author interviews and news. On Friday, I’ll be sharing details regarding some newly scheduled upcoming events. I also plan on sharing some thoughts on craft and writing development. This past weekend, I had the pleasure of presenting lectures at two conferences: Michigan College English Association (hosted at Eastern Michigan University) and Rochester Writers Conference (hosted at Rochester College). What an incredible weekend of networking, socializing, and learning. Yes, learning, because I never present at a conference without attending other sessions and workshops and connecting with other writers. The MCEA conference had such diversity in their programming, but one of the standout presentations I appreciated most was a keynote address after lunch. Guests Sari Adelson and Mary Heinen, Coordinators for the Prison Creative Arts Project, shared information and perspectives on this amazing project. Prison Creative Arts Project collaborates with incarcerated youth and adults, and the formerly incarcerated, to do creative expression, especially in theater, poetry, and art. They shared examples of poetry created by participants, stories of how creative writing can offer a catalyst for transformation and inspiration, and overall it was such a moving presentation. I also have to mention this: Eastern Michigan University has a beautiful campus! The conference was hosted in the Student Center, a bright, modern facility that is very high-tech, enviro-friendly, and service oriented. From shopping to cafes to meeting rooms and a noon-hour pianist… this is a great place for students – and visitors! I couldn’t help but notice there is also a monthly poetry event hosted there, so I have a feeling I’ll be back in Ypsilanti very soon. On Saturday, I was lucky enough to have my lecture first thing in the morning so that I could enjoy the rest of the conference activities throughout the day. Again, the keynote at Rochester Writers Conference was sensational, as non-fiction author Chip St. Clair shared the experiences that lead to his memoir, The Butterfly Garden. His childhood days were spent on the run with one of America’s most wanted killers – but, as a child, he didn’t know it. Moving beyond such an upbringing and working hard to overcome his past while aiming for a future of hope, trust, and peace is the backbone of Chip’s memoir and was openly discussed in his presentation. Simply amazing. Too, I also really enjoyed a panel with two Michigan magazine editors: Rebecca Stevens from Ambassador Magazine and Becky Repp from American Road Magazine. These two (very busy) editors were wonderful in sharing tips on how to submit to their magazines, overall suggestions for submitting articles and pitches to magazines, and how to build a strong author-editor relationship. Plus, it was nice to be introduced to two regional publications that have a national audience. Having had a good look at each magazine, I highly recommend them and will keep my eye out for upcoming issues. As you can see, this was a very busy, very fun weekend of writing related activities and what an incredible assortment of people I met. I talked with writers from all levels and backgrounds, met a couple of beekeepers, ran into a Canadian or two who made the drive to Rochester College, and collected a lot of business cards. If you have never attended a writers’ conference, I so recommend it. Whether a local one-day event hosted at a community college or arts center, or a national event spanning several days on location at a conference center, such events can be so inspiring, motivating, and good for the writer’s heart, mind, and soul. After attending something like this, you’ll no doubt come back home feeling rejuvenated, inspired, and ready to get to work. I know I did! Thanks, again, to the conference organizers for welcoming me on board and to the many wonderful new writers I met at each event. I have an assortment of other events and workshops coming up in the next few months, so do check my website from time to time for updates on the calendar, or drop me an email to see if I plan on being in your area. I love to hear from readers and hope to meet many of you face-to-face if the opportunity presents itself. Remember, too, this Wednesday I’ll be sharing an author Q&A with Cindy Gerard and will soon be posting a new list of upcoming author interviews. The 2nd annual Rochester Writers Conference has come and gone and what a wonderful event it was! Congratulations and thanks must go out to Michael Dwyer for programming such a successful conference. Thank you so much for all of the kind words and feedback you provided after my session: “Promote Your Writing by Building an Online Presence.” I very much appreciate the feedback and discussions we had throughout the day and I am pleased to hear there was something I could offer you in my presentation. Please do not hesitate to contact me (lori@loriamay.com) with follow-up questions or if you need clarification on anything, or simply wish to discuss a point further. I welcome your emails. There were two things that came up in post-session discussions I want to offer up for the benefit of everyone who attended the lecture. First, many of you asked if I have any other workshops or sessions coming up in the future, within this region. The answer is yes and if you wish to be notified of workshops, lectures, critique opportunities, and other such activities that are happening within the area, please do let me know so I can be sure to email you with details. 1] What topics you would like to explore in a more intense workshop setting? Are you interested in additional skills development and resources pertaining to online marketing? Are you interested in participating in a craft-writing workshop, with poetry, fiction, and/or non-fiction? Do you want to take part in a workshop that assists you with writing query letters, synopses, and polishing the first three chapters? Please let me know your area of interest. 2] Also, if you don’t mind letting me know the town/city you live in, so I can be sure to offer the desired workshops to those regional areas where there is interest, it would be helpful. If you can, also let me know which days of the week work best for you. I’ll try my best to accommodate your requests, so please don’t be shy! Secondly, something that came up after the lecture was on the topic of sharing portfolio samples or examples of your writing on your website, blog, etc. Specifically, the question came up about publication rights and selling to a publication once you have published your piece online. First, to be clear, anything published online is published. Period. Thus, while I encourage you to share a small sampling of your work on your website or blog, be sure this is something you do not plan on marketing for sale – as is – to publishers. Once it’s been published – anywhere - you have used up your first time rights. That’s not to say you can’t sell future work on the same topics you share on your website; it’s just very unlikely you will find a publisher (magazine, book, etc) who will be willing to reprint the same exact piece. Thus, my suggestion is that you only post articles or excerpts online that are either a) previously published and for which you have had the rights returned to you, or b) do not have any intention on submitting to future publishers. As a substitute, you can very easily draft a sample to reflect your work, but keep the sellable stuff for selling. If you have any additional questions about this topic, let me know. I’m happy to discuss this further. Again, thank you to all who attended the lecture and please do drop me an email to share your feedback, ask questions, or inquire about future workshops. I’m hoping to hear from those of you who want to participate in future workshops, courses, etc, so let me know your responses to my above questions, by sending an email to lori@loriamay.com. It was a pleasure meeting you all today and I look forward to hearing about your writing successes! This week I’m presenting at two pretty cool conferences; on Friday (today) I’ll be at the Michigan College English Association conference at Eastern Michigan University, presenting on “writers in times of crises” and on Saturday I’ll be at Rochester Writers’ Conference with a presentation on how writers can use social media to promote and market their work. I’m happy to share news of another upcoming poetry event, this one in London, Ontario. On Monday October 26th, I’ll be reading with Penn Kemp, Andreas Gripp, and John b. Lee at Mykonos, 7:30pm. Each of the poets has a new book or spoken word CD to launch, so it’s going to be a great event filled with readings of new works. If you need directions or more info, be sure to send me an email. Speaking of poetry, here’s a reminder: The deadline for the Marick Press poetry prize is approaching fast; poets have until October 15th to submit. Poetry manuscripts between 48-80 pages will be read by Marick editors and guest judge Alicia Ostriker. The winning manuscript will be published by Marick Press and receive a $1,000 prize. Not bad. The winner will be announced March 15th, 2010. Also, if it’s been a while since you’ve visited shewrites.com, you’ll be amazed at how much this site has grown since I first talked about it this summer. The “Poetry Social” group has more than 130 members now, connecting emerging writers with multi-published authors. If you write, even a little, this is one great resource you’ll want to take advantage of in connecting with others and promoting your work. Next week I have an author Q&A scheduled for Wednesday! Join me as I interview romantic suspense author Cindy Gerard. She has a new book out that’s terrifically thrilling. 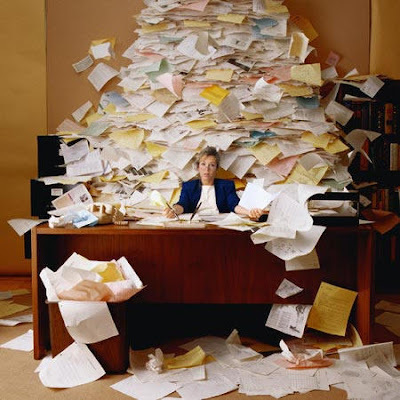 Today’s post is shorter than I intended, with the weekend conferences keeping my attention. However, I plan on posting some great writing resource links this weekend, so stay tuned. And before I sign off today, I have to offer congrats to blog reader Mary Roy who won a signed copy of stains this past Wednesday. Congrats, Mary! Remember, I’m giving away another signed book this month, randomly drawn from the list of blog followers. Is your name in there?